Sleeping more than seven hours a night could play a role in reducing the odds of being overweight or obese, according to a new study. Researchers based at the Centre for Longitudinal Studies at UCL have identified some of the contributing factors to obesity, in a new report using your data from Next Steps. The obesity epidemic is a growing problem for young adults with around 42 per cent of 25-year-olds being overweight or obese. 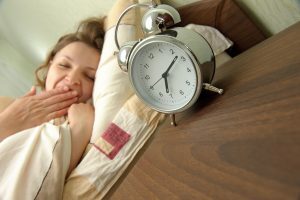 The study discovered that at age 25, people who slept for seven or more hours a night had lower odds of being overweight or obese, compared to those who slept for six hours or less. The researchers have proposed some explanations why a good night’s sleep is associated with a healthy Body Mass Index. “Sleep deprived people may be too tired to exercise, or people who don’t get enough sleep may take in more calories than those who do,” said Dr Morag Henderson, the study’s lead author. “This could be because they are awake longer and have more opportunities to eat, or they want to trick their body into thinking they have more energy by eating high-energy foods. The report also emphasised that the effect that diet has on general health should not be forgotten. People who ate a takeaway meal once or more a week were at greater risk of putting on excess weight than those who had up to one a month. Drinking six or more fizzy drinks a week also raised the odds of being overweight or obese. Use the online contact form to update your address, phone number and email.